Apple has lost its appeal against the UK court ruling which said Samsung is innocent of any copyright infringement. The iPad manufacturer claimed that since 2010 Samsung had copied a number of its designs for its own Galaxy Tab (pictured) to compete in the market. However, Judge Colin Birss ruled in July that the Samsung tablet was not “cool” enough to be confused with Apple’s market-leading iPad, and ordered that the Cupertino-based company ran adverts to publicise the ruling to consumers. Apple was given 21 days to appeal the ruling, but the judges presiding over the case have upheld their ruling again and insisted the company run the adverts as “the acknowledgment must come from the horse's mouth”. 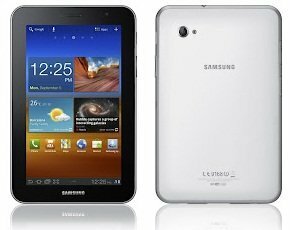 Samsung praised the decision, releasing a statement that said: “We continue to believe that Apple was not the first to design a tablet with a rectangular shape and rounded corners and that the origins of Apple’s registered design features can be found in numerous examples of prior art. Apple has yet to release a statement. Back in August, Apple won a similar case in a US court which ruled Samsung owed the company $1bn in damages for infringing its patents.